"Omg just finished Blue Lily Lily Blue, hoping for Flo to finish it too so we both can share the FEELS." I saw the above tweet from one of my friends when I was about halfway through this book. It came at the right time because the book really wasn't holding my attention at this point in my reading. As always, Maggie's writing is absolutely beautiful and poetic, and I wish I could be Maggie Stiefvater when I grow up. But overall, I was kind of, "Eh." New characters appeared and I thought to myself, "Hmm, that's interesting." And then I set it aside and read another book. 1. Adam and Ronan. Their interactions made me smile every time and literally had me chuckling aloud at some points. 2. Adam's character development: Some of you may remember that back in the time of Book #1, I was actually Team Adam. I've always been drawn to his doggedness and his work ethic. But he made some great revelations about himself and his relationships in this book. He is evolving, he is becoming. I love it. 3. The Murder Squash song: Because-- what?!?! LOL! This book leaves me with sooo many questions!! I can't even fathom how the Raven Cycle will end. I can't wait to read it. 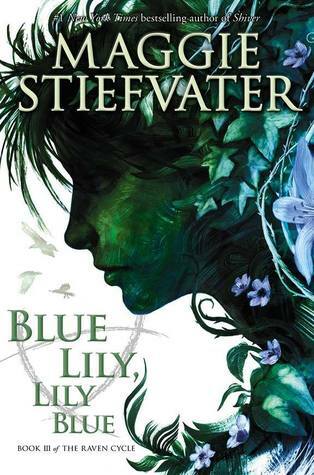 The primary focus of this book is not only on finding Glendower, but also Blue's mother who left at the end of the last book. Ronan and Adam develop a stronger relationship as they combine their skills to strengthen the ley line. We also discover why Ronan is working so hard to restore the "power" to his family farm. There are a few additional characters that appear throughout this book. Malory, the older gentleman Gansey worked with in England while researching their ley line, came to stay with the Raven Boys for a while. He added some insight into what Gansey was like several years ago as well as assisting with the search for Glendower. Colin Greenmantle is not only the new Latin teacher at Aglionby Academy, but he has a connection with the Gray Man and ultimately to the Raven Boys. His wife, Piper, becomes a major character towards the end of this story as well. One character dies in this book, which was completely unexpected. This rattled the remaining characters and is forcing them to continue their quest to find Glendower at a more rapid pace. If death can come so suddenly and without ceremony, it could happen to anyone. With the foretold death of a certain character in the first book in this series, it is even more important to those with this knowledge to find Glendower and receive a favor. I have thoroughly enjoyed this entire series so far and can't wait to see how it will conclude. I am confident Blue and Gansey's relationship will continue to develop and they will find Glendower, so they can live happily ever after. Authors never make it quite that easy for us, but that is what I will be hoping for until the release of the final book next October.